Many thanks for your long-term trust and support to EverExceed ! To meet with the diversified marketing needs, EverExceed R&D department has newly developed the EverExceed Li-ion battery systems for hybrid and electric vehicles Increasing energy efficiency and meeting environmental challenges. EverExceed Lithium-ion battery systems ensure optimal performance and reliability of each vehicle's operation. EverExceed Li-ion battery systems are a key enabler that makes electric vehicles a practical reality for even the most demanding applications, given their greater energy density, lower weight and longer life capability. This feature enhanced cycling performance improves TCO of vehicle. And High rate charge and discharge capabilities for cells and modules enables more efficient regenerative braking, Built-in battery monitoring and information, Battery communicates relevant diagnostic information to the host application, Especially , Remote access to battery information capable. which will have huge needs in the global market. 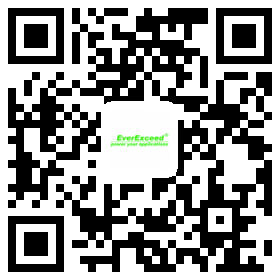 EverExceed 30+ year experience in energy storage solutions,Supply worldwide reliable, quality, safety and environmental standards power solutions with continuous innovative technologies, which is always EverExceed's pursuing mission . We will continue to produce high-quality products with advanced technologies.Thanks for your long-time support again!